The goodbye salute, from her room to the screens of millions of people all over the world. I wanted to find a few words before the end of this month to express at least some part of the awful grief that cast such a shadow over America in that bloody second weekend of June 2016. This grief has been something I have shared as it has unfolded over the ensuing weeks. Though it hasn't been immediate for me personally, of course, it has also been something more than remote. In particular, as a musician and promoter of independent music, a participant in the new media and interactive telecommunications revolution that is happening in our time, and simply as a father, my heart is broken and at the same time deeply, mysteriously touched by the awful events that took place in Orlando the night before the mass-murder at the Pulse nightclub, and the responses from around the world that continue to pour in. Above all, I want to honor the luminous young person who died that night of June 10, but who, for a few short years, brought a singular gift and an extraordinary personal presence to the world of music and the world of the internet. Christina Grimmie started to sing covers on YouTube in 2009, when she was 15 years old. 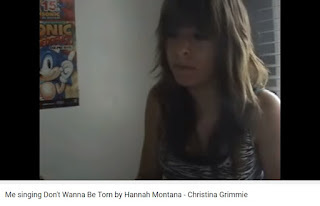 She was a girl from New Jersey with an electric piano keyboard and a webcam, making videos in her room and uploading them to her own YouTube channel. At the time, homemade videos that other people could actually watch were starting to catch on thanks to advances in internet speed and the quality of computer cameras. And other viewers were able to respond in YouTube's own "comments" section, as well as through links with other social media. Thus young people, who are so often the ones who discover new possibilities, began to post homemade videos and to watch the posts of their contemporaries. Most of the videos that went up were only interesting to their small circles of friends (and this alone was enough to make it great fun). But there were those who used the medium to share some truly high quality creative work in areas like music, comedy, short cinematic productions, etc. Others just had a knack for putting up appealing videos that people watched and shared. These YouTubers attracted tens of thousands of views and regular subscribers. The "YouTube star" was born at the beginning of the second decade of the 21st century. So was the "YouTube fan." Most of us older folks didn't even notice. 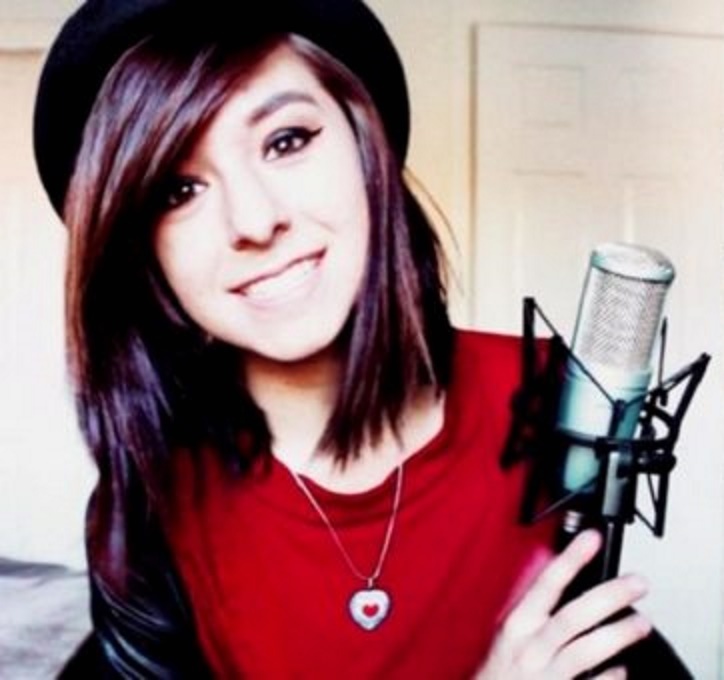 Christina Grimmie didn't set out to become a YouTube star. But she was a girl full of music, bursting with music, and she had a very special, soulful, and mellifluous voice. She also had something else, an indefinable gift, a charisma that enabled her to reach through the screen and connect in a striking and vivid way with viewers. The views (and soon the subscribers to her channel) multiplied rapidly. Christina was a natural genius for the kind of audiovisual interaction that YouTube had begun to make possible. She made followers all over the world feel like they belonged to something special, and that they were participating in her aspirations to develop as an artist. In fact, they really did help, with their requests, their comments, and their enthusiasm. In a couple of years, her singing voice had become something really unique, authoritative, powerful, versatile, wide-ranging, and bold. I'm not especially a fan of mainstream pop-style music. But Christina took banal songs from pop-charts, brought her special vocal and keyboard magic to them, and totally knocked them out of the park. And she just kept getting better and better. Soon she had over a million subscribers. Other possibilities opened up and she began to make studio recordings of songs she had written herself. Meanwhile, when she wasn't singing and expertly playing her keyboard, she was talking to her viewers, making them laugh, inviting them to share in her goofiness and wacky observations. As time went on she became more creative and more hilarious. 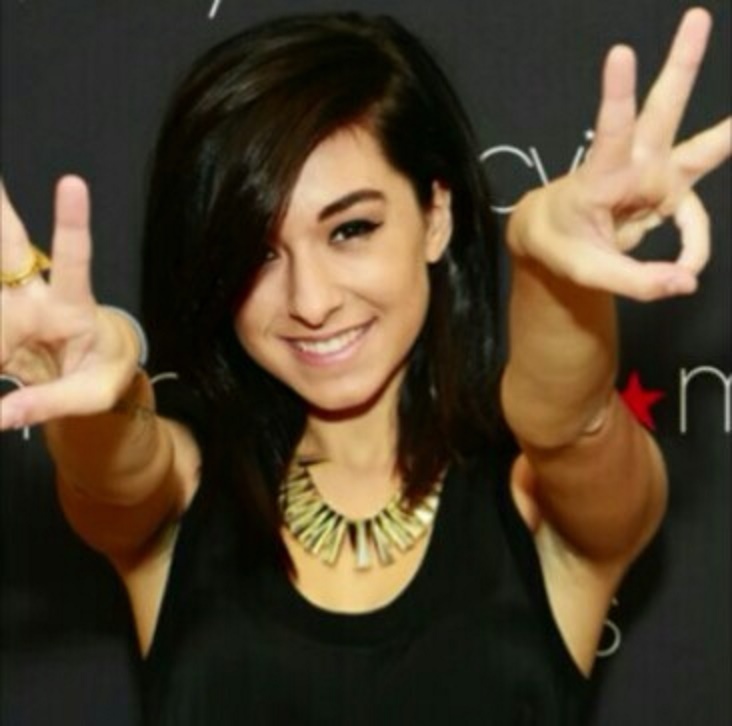 She named her faithful viewers "Team Grimmie," invented special words, goofy spellings, and hand gestures. She built up a connection between herself and the team, and gave them credit for her own success. And they had a great deal to do with spreading her music through social media and building up the team through their interaction with her and one another. Christina covered pop hits and sang love songs, but something distinguished her from most of mainstream music. I don't know what to call it other than a straight, upfront, unaffected joy and innocence. She was funny and stylish but never crude or indecent. Her videos were entirely "clean," but not in a laborious or self-conscious way. She was just being herself, and she had all this light shining out of her, and it was this light and its gentle warmth that she shared more than anything. She was so lovably human, but also "different" because her foundation was something greater than herself. Though she never proselytized, it was no secret to any of her followers that at the center of Christina Grimmie's life was her faith in Jesus Christ. She was throughout her life an Evangelical Christian who lived her faith deeply and intensely but also with joy and humility. She occasionally mentioned her faith as though it were a very natural thing, but people understood that it was everything to her. This is what I perceived, and everything that was said after her death confirmed it: she loved Jesus. She really loved Jesus. This love was her freedom and the deep source of her light, and she sought to shine it even more widely and deeply into the often dark, obscure world of mainstream entertainment. After her death, Twitter followers went back to this tweet from 2013 and retweeted it all over the world again. This is why she turned to mainstream television in 2014. She was already a YouTube sensation when she tried out for the celebrity-coached talent show The Voice. (Her initial "blind audition" has become one of the legendary moments in the history of the genre of these TV talent shows.) She sang her way through the whole season and made the final round, finishing third and winning the hearts of some of the biggest celebrities in music as well as countless TV fans of all ages. After The Voice she did more concert tours and recorded more of her own music. But she continued to remain engaged with her YouTube base, which grew to over three and a half million subscribers. She not only kept posting videos and live streaming with her "frands" (as she called her loyal followers), she also dedicated much time to them after live shows so that she could meet them in person, speak to them, and hear their stories. It was at one of these meet-and-greet sessions after the concert in Orlando, Florida, on June 10, 2016, that a deranged man approached Christina and opened fire from two Glock pistols, then turned a gun on himself after being tackled to the ground by her brother and bandmate Mark Grimmie. Christina died shortly thereafter. Little is known about the killer, and I cannot bring him out of his own shadows. Some might see this as an example of the dark side of social media, but I think it's much simpler: people with great hearts who love courageously always leave themselves vulnerable to danger. This has been true since the beginning of the world. It's important to take prudent precautions, but when the goal of a person is to give his or herself to others, there will always be a risk. Many questions have been raised once again in our national discourse about what "prudent precautions" can be taken to reduce the violence that killed Christina Grimmie and then, the following night, killed 49 more people and injured many others in a three hour reign of terror at the Pulse nightclub. These are good questions, but I do not want to raise them here. I only want to note, once again, that love is always a risk. But it's a risk worth taking. Christina knew that risk; she knew that God Himself had taken the risk for her, and for every person, so that love would win the victory, so that love would be marked with the promise of the resurrection. Christina used to greet her frands with open arms when they approached, and so too on that fatal night she opened her arms to embrace the man who was about to kill her, and thereby rendered herself completely defenseless against him. It was the defenselessness of love. I will close on this note, with the beautiful words of one of her own songs, entitled With Love. You're the one that moves me like nobody else.